Yeah you read that right, I’ve had three books published in the space of six months…nuts! This new book is very different from the others however. There are no recipes, there are no pictures, it’s just text, 70 thousand words of it. I now know I can write a novel-length book. What is this book about? It does what it says in the title, although it’s more a 360 degree look at the food world, the myriad ways of getting into food media. Each chapter covers a different aspect: every type of food writing, including trade and consumer press, from radio and TV, to social media ranging from Instagram stars, Twitter celebrities and YouTube hotshots and a whole chapter on improving your food photography. I’ve created practical exercises to help you along your way and there are many interviews with people in the food media. It’s a snappy, honest, view of the food media world and how to make a living in it. 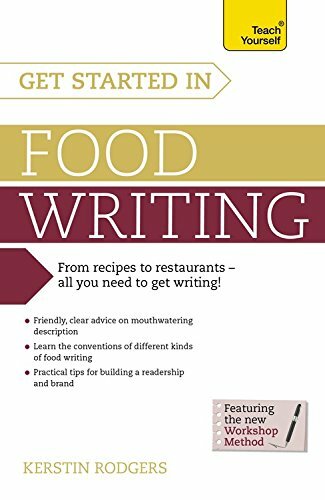 It has advice on writing, the history of food writing, photography, social media, with interviews with Sheila Dillon, Tim Hayward, Catherine Phipps, Katy Salter, Helen Graves of Food Stories, Marina O’Loughlin, Chris Pople of Cheese and Biscuits, the Sorted guys from Youtube.com. If you want to buy a copy go to this link. It will also be on sale at the Britmums conference this weekend and the Food Bloggers Connect conference in September 2015. Don’t forget the Secret Garden club supper club this Sunday, in conjunction with Swedish supper club chef Linn Soderstrom. The Saturday night has sold out but there are still tickets for the Sunday lunch. I always think books like these say a lot about a person. They show generosity of spirit so I do thank you Ms Marmite Lover for sharing your secrets of success. 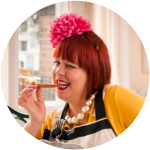 "MsMarmiteLover" has been included in our A Sunday Drive for this week. Be assured that we hope this helps to point even more new visitors in your direction. I am always looking for new tips and tricks on food writing, also to maybe learn what I'm doing right as well as wrong! I will need to check this out!